Order tickets for Thursday 25th of April 2019 online, and skip the line to order tickets at the club!!! Last chance to order online tickets for Thursday 25th of April 2019 is 6PM, Thursday 25th of April 2019 . 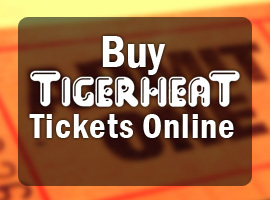 If you advance purchase your tickets with PayPal, the purchaser's name will appear at TigerHeat's guest list check-in by the security check with the number of tickets ordered under the name registered with PayPal. You must arrive before 12 midnight to guarantee admittance. You must have your entire party present. Priority admission is for prepaid ticket holders only, so make sure you order a ticket for each person in your party. Once your order has been processed, you will receive a confirmation email. Please bring a printed copy of this email with you to the club for proof of payment. All PayPal orders are final. No refunds will be granted. Orders placed after the posted cut-off time may not be able to be processed in time, so please do not order after 6PM Thursday nights. If you agree to these policies, please click the PayPal button below to order your tickets. Promotional discounts, such as "card" days, flyers, ads, etc. cannot by applied to PayPal ticket orders. 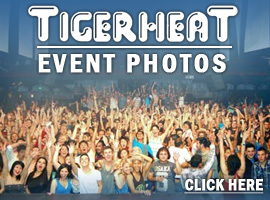 Club TigerHeat is not responsible for problems with the PayPal. We apologize for any inconvenience this may cause. Please contact PayPal if you have problems with their system.